It all leads to this! We spent months advising, planning, confirming, booking, and some more confirming in order to make Spring Break 2019 happen, and it has finally arrived. 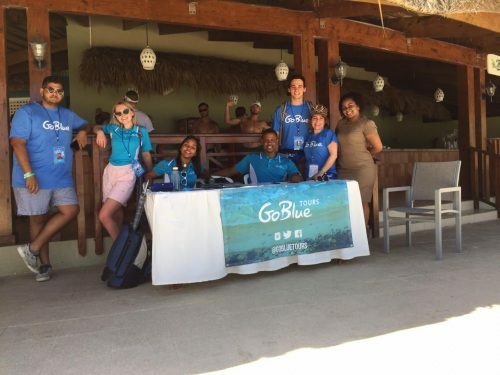 In the beginning of March, we started sending our travelers off in the direction of Cancun, Cabo, Punta Cana, and the Bahamas and the whole event began! I was lucky enough to get to see it all in action in Punta Cana. Being immersed in the on site portion of spring break was something new for me. I was eager to meet all my travelers and get to have some fun with them! Lupita and I were supported by our awesome support staff, Kiki and Jose, who we could depend on at any hour of the day or night. During the day we assisted with arrivals/departures, fixed any issues that came up onsite, and just got to spend time with travelers to make sure they were having a great time. I also took some charge of social media in order to post some on site stories and share videos and photos. There’s a couple of add-ons people can choose to buy to enhance their trip. While people had a great time on the resort, what goes on off the property is so worth checking out and our travelers can confirm that for you!! 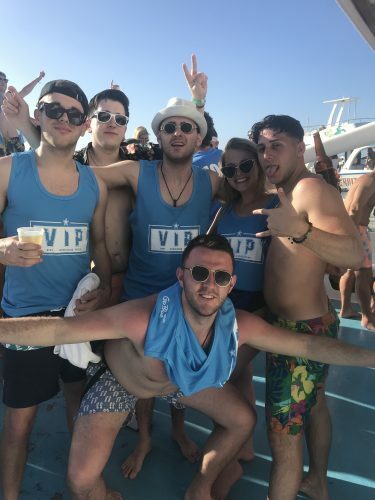 In order to make going out convenient (in terms of both time and money), we offer a party package which includes express entry, cover charge, and open bar (And transportation in Punta Cana.) 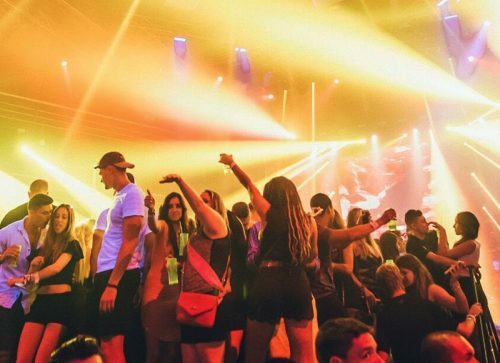 There are numerous clubs that all offer something different so every night you can expect something new. A couple favorites of past travelers are Imagine and Coco Bongo; They’re not to be missed! There’s another excursion that’s been really popular with our travelers that I got to take part in which was the booze cruise! We all met up beforehand and took a few coach buses to the dock. The booze cruise consists of a few hours of dancing, drinking and having a good time! Everyone loved it which was great to see; I think it was some people’s favorite part of the trip! Bottom line, it was a hectic, sunny, exciting week. Punta Cana has proved itself to be a perfect spring break destination and I hope to see some familiar faces for Spring Break 2020!